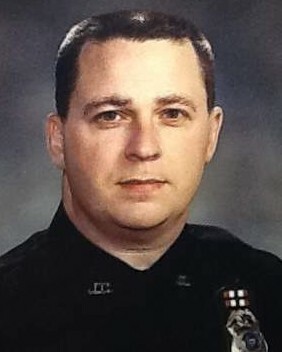 Police Officer David Wayne Smith, Jr.
Police Officer Dave Smith was shot and killed with his own service weapon after responding to a disturbance call at a business, at 32 Harrison Street, at approximately 7:00 am. An employee at the business began arguing with other employees and assaulted one of them upon arriving at work. As Officer Smith arrived at the scene the employee ran out of the building waving his arms, and attacked Officer Smith before he was able to exit his patrol car or radio for help. The subject was able to disarm Officer Smith and shot him while he was still in the patrol car. The man then opened fire on a second officer who was arriving at the scene. That officer returned fire, killing the subject. 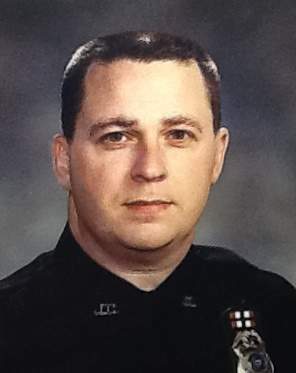 Officer Smith had served with the Johnson City Police Department for 18-1/2 years. He was survived by his young son.